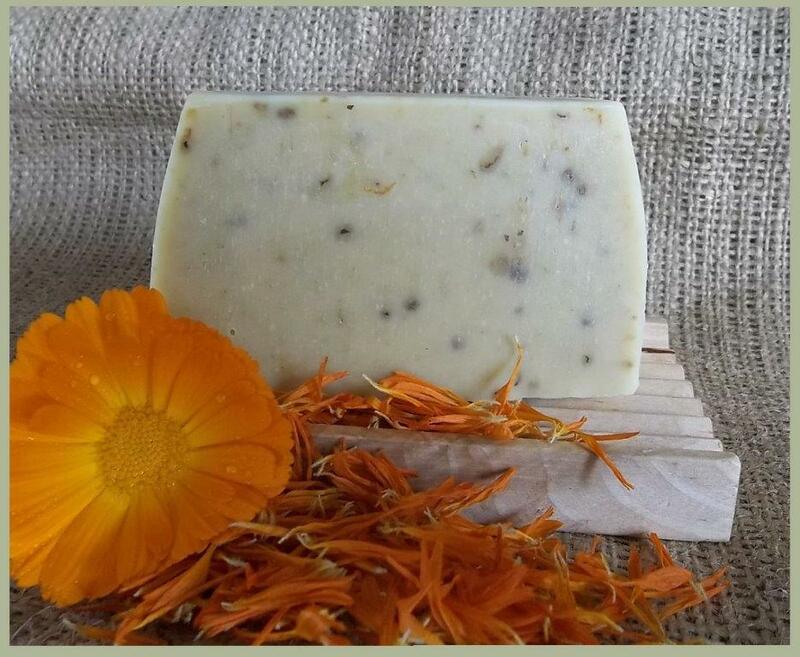 Calendula is beneficial for dry skin and can help with skin irritations and rashes. The petals are antiseptic, anti-inflammatory, and immune stimulating. These properties are useful for treating various types of dermatitis such as eczema. Green tea is anti-bacterial and has been found to possess antioxidants that are good for cellular health, Green tea is calming and protecting to your skin. Ingredients: Calendula infused olive oil, coconut & castor oils, beeswax, green tea infused rainwater, lye, honey, green tea leaf, parsley leaf & calendula petals.